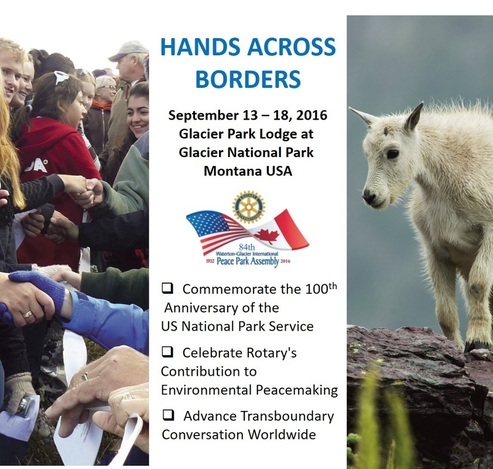 ﻿﻿﻿2015 Waterton - Glacier International Peace Park Assembly ﻿﻿﻿(WGIPPA). 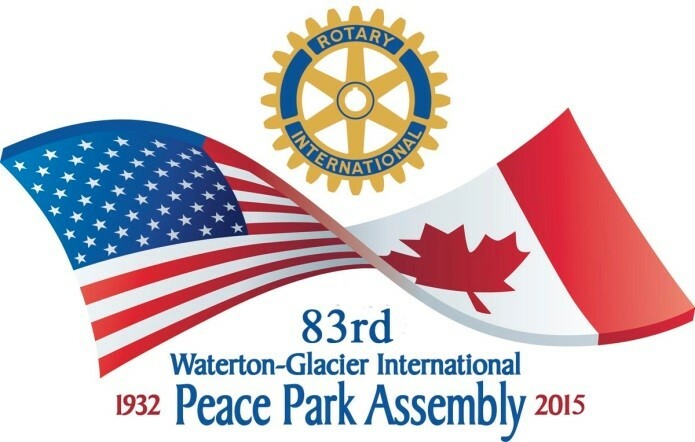 The Peace Park program was organized through the joint efforts of the Sherwood Park Rotary Club(5370), the Rotary Club of Fort Saskatchewan District (5370);the Rotary Club of Lethbridge East(5360) and the Rotary Club of Calgary South(5360). Special thanks go to District Governor Martin Harvey (5360) and Charlene Bearden, District Administrator of District 5360 for their incredible help in registration and support of the organizing committee. The event began on Friday evening with a causal BBQ super and social. This was highlighted by the performance of Jim Van Leeuwen and Sid Marty who mesmerized the assembly with their musical talents. 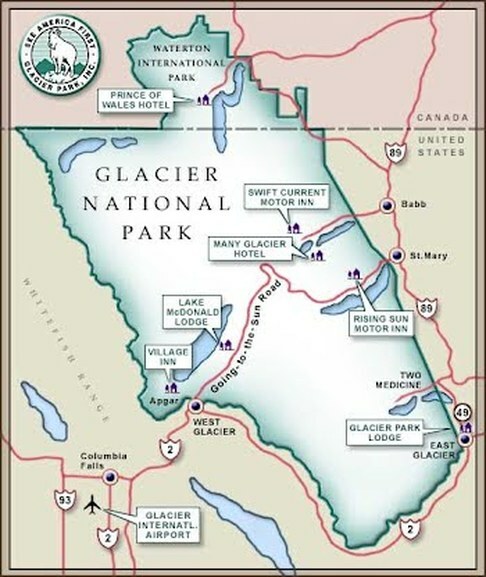 Saturday morning gave participants an opportunity to engage in a plethora of past, present, and further Peace Park events as presented by Superintendents Ifan Thomas (WLNP) and Jeff Mow (GNP), including plans for the 100th year celebration of Glacier National Park. Sheena Pate, of the Crown of the Continent, followed as she captured the assembly with her passion and extensive knowledge, including a stunning Video Presentation﻿. Later in the day Todd Walters gave a presentation on the Global Perspective of International Peace Parks. He was followed by Matthew McKinney who shared with the assemble an important perspective on the need for more Transboundary Conversations in the development of peace parks. Wylie Carr, of the University of Montana, rounded out the afternoons presentations announcing an exciting partnership between WGIPPA and the University to create the first "Hands Across the Borders: An International Workshop" for practitioners of nations desiring to create and sustain International Peace Parks. The day concluded with an International Youth Exchange Student procession in a display of pins and pride under their respective national flags. This was followed by introductions and dinner with our special guests. Travis Plaited Hair of the White Buffalo Society closed the evening as the featured speaker. 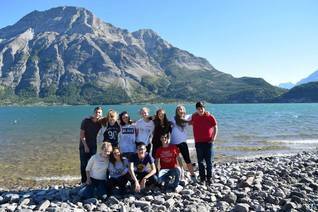 The University of Lethbridge Rotaract Club was excited to organize the Rotary Youth Exchange Student event at the Waterton-Glacier International Peace Park Assembly 2015. Click on the photo to connect to the Rotaract Facebook.